I was picking up a few things at the local Trader Joe’s when I saw a package of “Bool Kogi”, apparently TJ’s version of “bulgogi”, and on a whim, threw it in my cart. Lisa asked how we were going to eat it, and I thought, bibimbap! We had most of everything we needed on hand (I had also grabbed a bag of baby greens), and this Korean dish is one of my favorites, so it was a no-brainer. This would obviously be better if you made the bulgogi yourself, but using the TJ shortcut saved a bunch of time (the meat cooks in about 7 minutes) and was certainly good enough to get the job done. Place the spinach/greens in boiling water until wilted, a minute or so. Drain, rinse with cold water, and squeeze dry in paper towels. Add a teaspoon of soy sauce, a pinch of salt, the garlic, and stir. 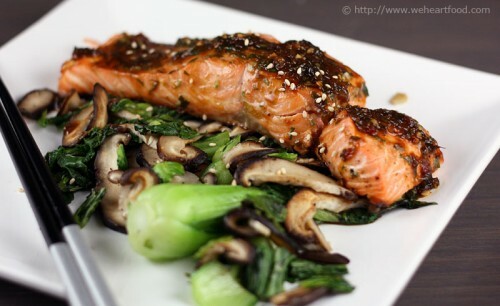 Drizzle with sesame oil and a few sesame seeds; set aside. Saute the carrot in a pan over high heat for just 30 seconds or so, set aside. Sprinkle salt on the zucchini, then saute the zucchini in a pan over high heat until translucent and set aside. Saute the mushrooms over medium high heat with 1 teaspoon of canola oil. Add two teaspoons of soy sauce, a teaspoon of sugar, and stir for a couple of minutes until glazed. 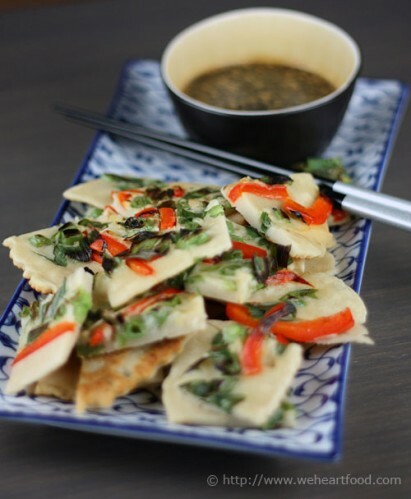 Drizzle with sesame oil and set aside. Prepare two eggs, sunny-side up. (Here’s one method). In each bowl, put a base layer of rice. 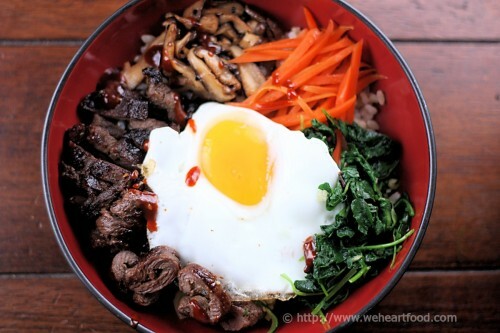 Arrange each of the toppings (meat, vegetables) separately to your liking, with the fried egg in the center. To serve, stir it all up, get that yolk in there, and dig in! Serve with gochujang and sesame oil.